We are offering Fastener Wire to our client. We offer Fastener Grade Wire, which is use to make steel wool, nails, fsteel furniture and different wire products. We also manufacture wire from dia26mm to 0. 4mm. Give us your wire technical requirement and we provide you the solution. Our Mild Steel Fasteners Wires are highly demanded in the market for their high performance and high durability. Mild steel wire is generally used to make Mild Steel Wire Mesh, fencing wire and binding wire in the construction industry. We offer custom packaging of our product as per the specifications provided by our clients. Our organization has carved a niche in the market as the most renowned manufacturer, exporter and supplier of Wires for Fasteners Industry. With the help of the best team of professionals, we have used the best quality of raw material in the manufacturing process and tested our product for its relevant attributes in adherence with the international standards. We are engaged in manufacturing and supplying a large number of Fastners Wires. 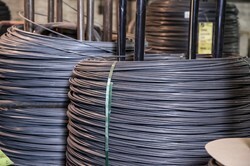 Our spring wires are made by using high-grade steel and meet relevant quality standards. 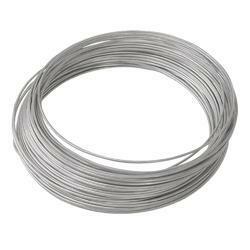 The range of Spring Steel Wire provided by us is available in various grades and specifications according to the requirements of customers. We hold expertise in manufacturing and supplying a wide range of Wires for Fastener Industry. We implement advance technologies to engineer these Wires and ensure our clients for consistent performance of these Wires. Our Wires are available in different dimensions and sizes following customers demands. P. F. Wires Pvt. Ltd.